This article about affiliate marketing focuses on 1) a brief introduction to affiliate marketing, 2) how to create a successful affiliate marketing program, 3) how to acquire affiliates, and 4) how to manage and keep affiliates. In the most general sense of the word, an affiliate is someone who helps to promote or market a product or a service to potential clients or customers and receives a commission on the sale whenever it occurs. 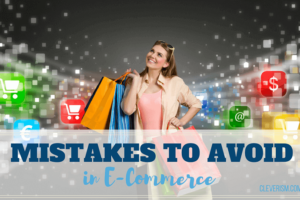 In electronic commerce, an affiliate is a firm or an entity which is responsible for selling the products of another merchant on its website or blog page. When a sale is made on that website, then the sale amount is transferred to the principal’s site who then passes a commission to the affiliate. The term affiliate is mostly used in online retailing where the relationship between the company and the affiliate is known as affiliate marketing. As a good example, Amazon has affiliates who are known as Amazon Affiliates. These associates sell on the website of Amazon and Amazon gets a percentage of the sale price for its fee. Affiliate marketing is the term used to refer to a kind of a performance-based marketing in which a business or a company acquires affiliates and then rewards those affiliates for each sales that they make or for each customer that they bring in for the company through their marketing efforts. In the industry, there are 4 key players: the network, the merchant, the publisher and the customer. In this scenario, the publisher is the affiliate who may sometimes work for affiliate management agencies or super affiliates. Some of the methods that affiliates use in order to promote or market products over the internet or their website include email marketing, content marketing, paid search engine marketing, search engine optimization, etc. The first way is to offer an affiliate program to others. In this way, the main goal is to find affiliates who’ll reach untapped markets. The second way is to sign up to become another business’s affiliate. In this case, you will receive a commission for every sale or lead you produce. Cost per sale (pay per sale): This is the arrangement in which the merchant site pays an affiliate when the affiliate sends them a customer who purchases something. This is the method that Amazon follows to in its affiliate program. Amazon pays the affiliate either a certain percentage of the sale and others may pay a fixed amount per sale. Cost per lead (pay per lead): In such a case, companies pay their affiliates on the basis of the number of visitors they refer who sign up as leads. This case is valid is visitors sign up or fill out forms, etc. and become sales lead for the merchant in some way. Cost per click (pay per click): This is the third method of payment in which the merchant site pays the affiliate on the basis of the number of visitors who click on links to enter the website of the merchant. In such a case, the amount paid to the affiliate is not dependent on whether the customer buys or not. You can’t aim to and sell everything to everyone. If you try to do so, you will most probably fail in your efforts. Thus in order to create a successful affiliate program, you need to determine a niche market and figure out who your audiences are. You need to target a certain segment of the audiences to aim to sell your products to and then point your marketing methods to them. Now that you have defined a niche market and done your research, you will need to find websites that have viewers interested in your niche market. You need to find partners who have already come up with a decent traffic and would benefit from your affiliate order. You must create an offer that is not just beneficial for you but also for the partners. You must offer your affiliate partners with creative and compelling material and offer because you must make their job of marketing as simple as possible. They less work they have to do and the more responses they see may want them to promote your products in the future as well. Just because you have earned a few good and promising partners, doesn’t mean that you can be casual and rest. You continually have to be on a lookout for more affiliate programs as you never know when the existing ones will decide to quit or ship. Actively recruit new ones to create a buffer and to save yourself. Make sure that you take care of your partners by continuously communicate with them and sending them regular updates. Another superb way to acquire affiliates is to run paid advertising campaigns which is through the method of pay per click campaigns and working on search engine optimization. This is a method that can produce large quantities of affiliate sign ups. This method requires you to have a landing page on your website so that on them you can explain the affiliates the benefits of joining your program. Several different types of niches of affiliates are available more easily, and this is yet another benefit of using this method. This method must be performed and managed very professionally to see positive results. Little to worry in case something doesn’t turn out well. Some affiliate networks may charge fees to join or to use some special features. It is important to be part of discussion boards and communities in order to be a good marketer and get in touch with more affiliates. These communities offer you the opportunity to interact with potential affiliates. Such communities also enable you to identify affiliates and see their problems by interacting with them. You can know the issues of the affiliates and then solve them and thus become more appealing to them. These channels may not permit explicit advertising as they don’t promote or market certain products or services, and this is one of their major disadvantages. These channels may involve large sums of time spent on forums and boards, and this is another disadvantage. Another direct approach includes taking part at special affiliate events that are held all over the world. One example of such an event is the Affiliate Summit. This event gathers a lot of attention as it gathers a lot of affiliates to an affiliate marketing conference. These types of events help to confront your potential affiliates as there is the convenience of being able to select them more thoroughly. This is a way to present your affiliate program in a much better and friendly manner. One usually is able to get good quality affiliates to promote your products and services. The cost of attending such events is one of their biggest drawbacks. The time that one must give in order to be part of such events is yet another disadvantage of following this method of acquiring affiliates. Do a keyword search on your product and check which websites have a good ranking on the keywords that define your application and then try to persuade them to become your affiliates. Do a keyword search for the products of your competitors and check which websites sell those products. Do a regular search by including some extra phrases or long tails on keywords like ‘buy’, ‘purchase’, etc. There are no costs involved in this method of acquiring affiliates, and this is why reason why people may want to follow this approach. This is more of a personal approach, and this is one of its benefits as well. No answers are guaranteed in this kind of method of acquiring affiliates, and this is one of the reasons why it may not be opted for by some people. In some cases, affiliates tend to forget you and may not get your partnership proposal as they may be labeled as spam. You must confirm the source of each sale made by the affiliate on your products because you need to pay a part of the earnings to them. While some businesses have cookie system in place to track customers, others may just use self-monitoring methods. Whatever system you use for this purpose must be transparent and should help you accurately know the details of every sale. Having a good tracking data will protect you in case the record of your affiliate does not match your own. A database administrator must always be backing you. Before you start negotiating with your customer about the amount or percentage that you will pay him, you must know the revenue and margin details. Often, the selling cost and buying cost figures are not to set apart and in such a case, you will not be making a huge profit. Hence promising a huge share to the affiliate in such a scenario will leave nothing for you. Thus, you must know how much you can spend per lead. Early planning is essential to keep your margin positive even at a high sales velocity. Also, if you own a subscription product, you must be aware of the average time period the subscriber will be subscribed and how much he will be paying per month. This understanding will be able to provide you the maximum amount of profitability. The idea is to be completely in the game, have all figures worked out and a clear future plan in mind. It is possible for you to have already invested in different types of marketing schemes or methods like paid search marketing, direct marketing, etc. But it is a good idea to know where your affiliate partners are advertising. This is yet another superb way to manage your affiliates and keep them well monitored. If affiliates are not managed properly, then, advertising networks might start competing for copyrights, trademarks, and keywords, etc. They may end up getting a better search engine ranking than your company site. This means you will end up paying for something that was actually for free. Hence, it is better to set up a few simple rules about what your affiliate can do and where he can advertize. Another great way to manage your affiliates is to track and measure results on an everyday basis. Even with a solid affiliate partner, there can be problems with data at times. Thus comparing their data with your tracking data becomes very crucial. Not all, your affiliates or partner sites will be as transparent as they must be, and it is very important to see if there are any bad or good trends in the sales data by the affiliate. If you measure the results every day, you will be able to study a few trends and then improve upon the way you and your affiliate function. 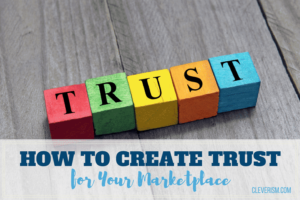 Affiliate relationships are trusted relationships. They work like any other business relationships and like in those cases, it is important to maintain and build good relationships in these as well. Since you are buying services, you must pay your affiliates in a timely manner. You must work with the finance department to understand how much you can spend. You must set up payment terms that are reasonable, and you must also make your affiliates agree with you on that amount figure. Also, you must set up a schedule and manner of working and get your affiliate to agree to that working schedule or style. You will need to spend time to cultivate a good working relationship and cut all kinds of non-profitable dead weight partners as these may just be wasting your time and your money. Rather, find ways to acquire new ones and get a better return through their help. yes I would like to understand what you meant.